The kids are growing up so fast. Being able to keep their minds growing all the time can be challenging at times. 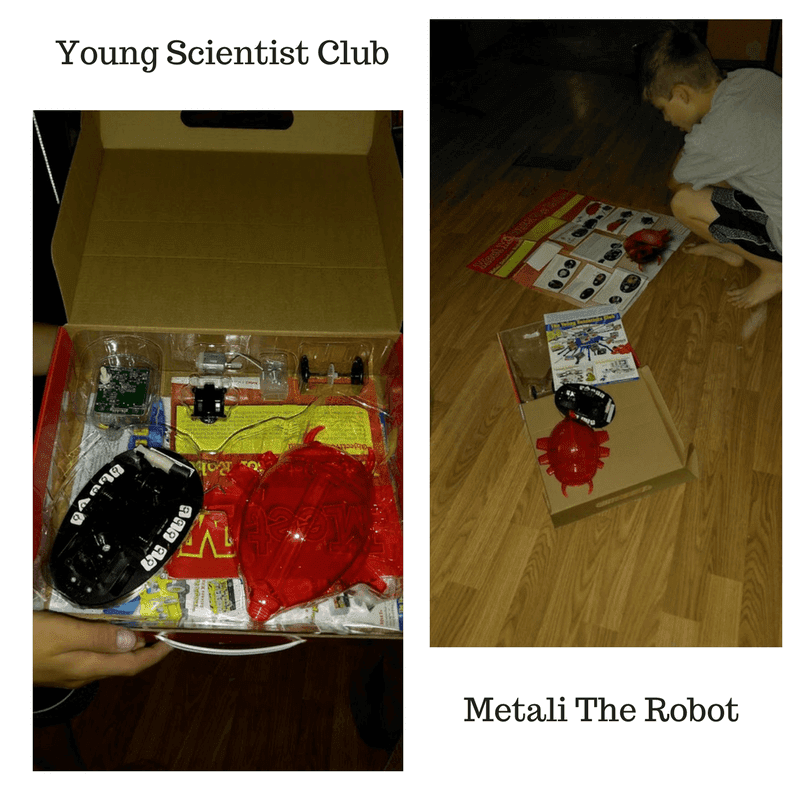 We had the opportunity to work with Young Scientists Club on a review of two of their Funtastic Robot. They are built at home robots. 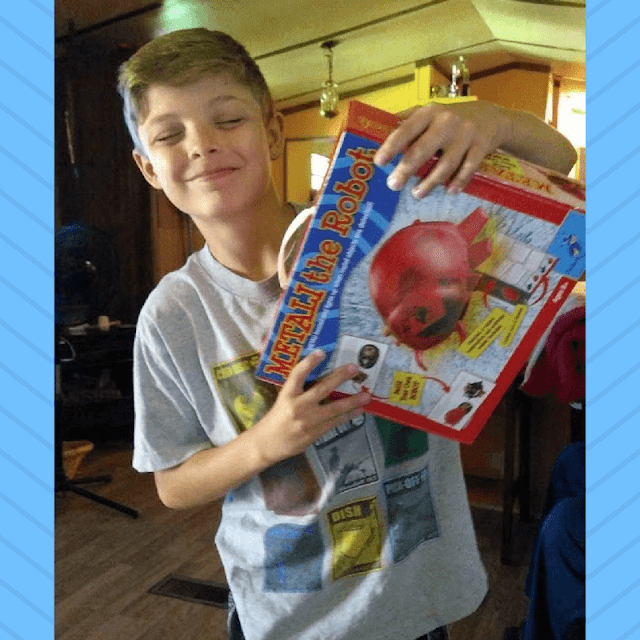 Why we wanted to start working on more "hands on learning" with Cassie is we are switching over to a home-based learning with her this coming school year (if it all works as planned). We want to be able to do more things that she can learn from not just study from a book or computer screen. Not to mention the amazing perks of being able to sleep in til at least 6 in the morning. That extra hour every day will be amazing!! The Young Scientist Club has some very fun and creative ways to help us along. Funtastic Robotics Series has 4 robots that are all unique in their own way. Each one is it's own color and does its own specialty. METALI the robot is red and detects metal. INFRA the robot is Purple and moved with any household remote. SUNNY the robot is orange and moves upon receiving light signals. HURDLE the robot is green and will stop, back up, and change direction when sensing an obstacle. Each kit comes with all of the pieces to make an entire robot so there are no additional purchases required to make them work. As a parent, that's awesome. It's so frustrating when the kids get something put together and it needs something else to make it go. We can turn a fun time into math, science, reading, and writing without even making it sound like work or learning. These kits are so much fun that learning is just the added bonus. These robot kits are recommended for kids 8+ these make great learning and fun time projects. They are so reasonably priced at $29.99 each. 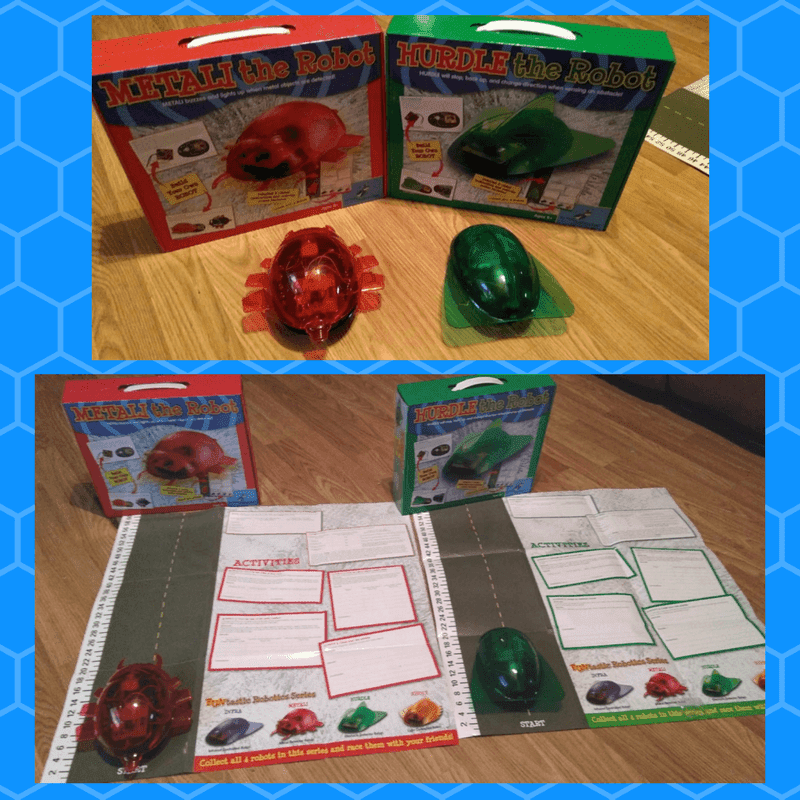 They make a great gift idea for kids that like building robots and hands-on learning. Our first plan is to read and understand the instructions. Understanding the parts and what to do with them is so important when building your own projects. Every piece has its own place and does different stuff. Working the robot is next. They have different specialties so understanding them both is important. Lastly, writing a report on the process, a summary or short story about beginning to end. We want to get a better grasp on Cassie's learning. Traditional learning hasn't been the best way for her. She struggles with the instruction at school. She is having to go through the mechanics of the day at school and still has to sit down at home so we can explain it to her better so she can understand it. That's a lot of learning for one kid every day. Especially since she is doing all that to learn each and everything. If you are looking for a fun and entertaining way to have some Hands on Learning Fun, check out the Funtastic Robotics Series at The Young Scientists Club.